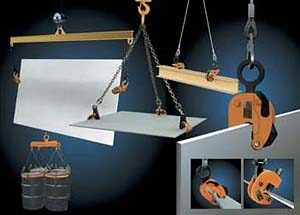 Plate Lifting Clamps | Renfroe Plate Clamps | Kennedy Wire Rope & Sling Company, Inc. 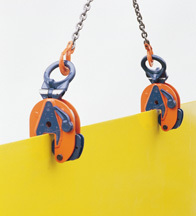 If you need to move plate material safely and efficiently, then we carry the plate lifting clamps you need. At Kennedy WireRope and Sling, we only sell the highest-quality rigging solutions, from best-in-industry brands such as: The Crosby Group, Columbus McKinnon Corporation, and JC Renfroe & Sons. 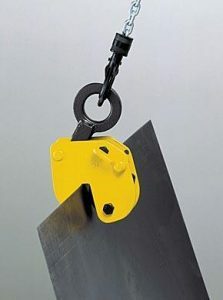 Our plate lifting clamps are ideal for a wide-range of applications, including metalworking, manufacturing, and construction. We have outfitted countless companies with the clamps they need to get the job done right. KWRS is proud to help organizations find the best-possible solutions for their work. In addition to providing quality equipment, we also offer inspection-and-repair services for plate lifting clamps so you can increase the safety and longevity of you existing equipment. We have been in the business of providing outstanding solutions to manufacturing and construction industries since 1979. In the decades since, we have built a name of ourselves as a premier supplier of wire rope, rigging, slings, Renfroe lifting clamps, hoists, on-site services, and more. The KWRS name is synonymous with quality. As we continue to grow, our clients can count on us to continue the same high-level of service that has set us apart from our competition since our founding. The team we have built here at KWRS is driven to continue as a leading supplier of high-quality solutions for countless decades to come. Contact us today online, or give us a call anytime at (844) 382-8241. We know that we can find a solution that’s perfect for you.